Pipe Ten believes in open and clear policies and takes your security, privacy and data protection seriously. If you have any questions not answered within this document please do not hesitate to contact them. we do not spread your data to third parties other than those specified. 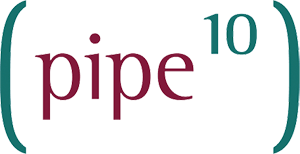 Pipe Ten may collect personal identification information from Users in a variety of ways, including, but not limited to, when Users visit their site, place an order, subscribe to the newsletter, respond to a survey, fill out a form, and in connection with other activities, services, features or resources made available on its websites. Users may be asked for, as appropriate, name, email address, mailing address, phone number, credit card information and in some cases copies of personal identification. Users may, however, visit the websites anonymously. Pipe Ten will collect personal identification information from Users only if they voluntarily submit such information to them. Users can always refuse to supply personally identification information, except that it may prevent them from engaging in certain related activities. Pipe Ten may collect non-personal identification information about Users whenever they interact with the website. Non-personal identification information may include the browser name, the type of computer and technical information about Users means of connection to the website, such as the operating system and the Internet service providers used and other similar information. Customer service – Information provided by Users help Pipe Ten respond to customer service requests and support needs more efficiently. This is required while the service is in contract. Order processing – Pipe Ten may use the information Users provide about themselves when placing an order only to provide service to that order. This may include the processing of a payment, domain name registration or SSL certificates signing. Pipe Ten do not share this information with outside parties except to the extent necessary to provide the service. This is required while the related service is in contract. Send service related emails – Pipe Ten may use a User’s email address to send a User information that is directly related to their contracted service or account. This is required while the service is in contract. Personalise user experience – Pipe Ten may use information in the aggregate to understand how their Users as a group use the services and resources provided on the websites. Service Improvements – Pipe Ten may use any feedback provided to improve the products and services. Send promotional Pipe Ten emails – Pipe Ten may use a User’s email address to send emails periodically about other available Pipe Ten services that will compliment a Users existing service, news, promotions, survey or other feature. Pipe Ten do not share this information with any third parties. Users can choose to remove themselves from this at anytime. Instructions to unsubscribe are included at the bottom of each email sent. Payment Processing – User’s payment details are processed with the chosen payment processor in order to process the payment for a User’s taken service. Domain Name Registration – User’s contact details are processed to the registry that manages the TLD for a User’s chosen domain name registration as per ICANN regulations. Limited to customers that choose to take this particular service. SSL Certificates – User’s contact details are processed to the assigned SSL Certificate Authority for signing validation. Limited to customers that choose to take this particular service. PCI Services – User’s contact details are processed to the PCI Compliance service provider for Data Security and Compliance services. Limited to customers that choose to take this particular service. For further information on data processing, please refer to Pipe Ten’s Data Processing Policy at https://pipeten.com/docs/docs/dpp/. Pipe Ten adopt appropriate data collection, storage and processing practices and security measures to protect against unauthorised access, alteration, disclosure or destruction of personal information, username, password, transaction information and data stored through its online systems. A sensitive and private data exchange between the websites and its Users happens over a SSL secured communication channel and is encrypted and protected with digital signatures. It is also in compliance with PCI vulnerability standards in order to create as secure of an environment as possible for Users. Pipe Ten do not sell, trade, or rent Users personal identification information to others. Pipe Ten may use certain third party service providers to help operate their business and services or administer activities on their behalf. Pipe Ten may share Users information with these third parties for those processes outlined below. Banking Services – National Westminster Bank, Barclays PLC. Payment Processing – Sage Pay Europe Limited, Worldpay Group PLC, PayPal (Europe) Ltd, American Express Company. Accountancy – Xero Ltd, PricewaterhouseCoopers, A R P Brightmore Ltd.
Domain Name Registration Services – Nominet UK, Enom LLC. SSL Certificate Services – Comodo Group Inc.
PCI Services – Security Metrics. Users may find advertising or other content on Pipe Ten’s websites that link to the sites and services of their partners, suppliers, advertisers, sponsors, licensors and other third parties. Pipe Ten do not control the content or links that appear on these sites and are not responsible for the practices employed by websites linked to or from their website. In addition, these sites or services, including their content and links, may be constantly changing. These sites and services may have their own privacy policies and customer service policies. Browsing and interaction on any other website is subject to that website’s own terms and policies. By using this Site, you signify your acceptance of this policy and terms of service. If you do not agree to this policy, please do not use Pipe Ten’s Site or Services. Your continued use of Pipe Ten following the posting of changes to this policy will be deemed your acceptance of those changes. The Data Controller is PIPE TEN HOSTING LTD with ICO registration number Z1628316 and the Data Protection Officer is Gavin Kimpton, contactable by post at the company address. "Pipe Ten Hosting > GoDaddy"
I forgot to renew my domain so went to Pipe Ten Hosting to see if i could add a new domain in place of the old one. I was informed by GoDaddy that i had to pay $80 to get my domain back. After asking Matthew Skully if it was possible and after helping me through the process he informed me that the $80 charge is only for .com domains meaning GoDaddy were trying to rip me off. Matthew stayed on chat with me whilst I called GoDaddy and helped me argue my case as GoDaddy tried to cover their tracks. I got my domain renewed for free saving me a lot of money thanks to Pipe Ten. If you're looking for Genuine hosting from a competent company, look no further than Pipe Ten Hosting. My existing hosting service has been terrible and with my website being down with no reply from them I found Pipe Ten who have been great. They not only managed the migration in double quick time, they also fixed my website and got my email all running quickly. From my previous experience of migrations they can be dumpy, especially with sub-domain e-commerce platforms. I had no issues at all! Their support is very transparent and you can get hold of someone very easily. You also know what is available rather than vague 24/7 claims you see, which are not 24/7 at all. So, superb and I rate them very highly! Lastly, my Drupal site runs faster and I am paying less...what's not to like. Great hosting provider, can't fault them. Their support is second to none. I've used their online chat a number of times and used their online ticket system, responses are always instant and they just get it sorted. They know what their doing. Can't recommend enough.